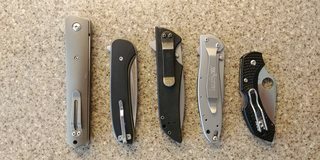 Does anyone else have an interest in carrying pocket knives with them on a daily basis? 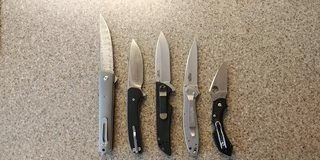 I've been growing a small collection of them and felt like sharing to see if others shared the same interest. 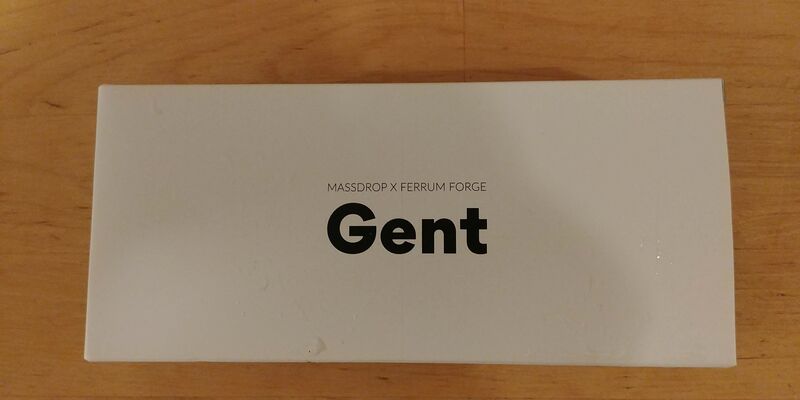 I recently received a knife from Massdrop that I put in a group order for on the Ferrum Forge Gent. This knife is a collaboration from Ferrum Forge, WE Knives, and Massdrop. 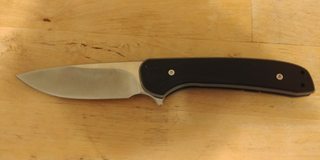 It is a clean and simple knife with titanium frame and G10 scales. The blade itself is a drop-point made from a very high quality S35VN steel. I used to have a black FRN Spyderco Lady Bug 3 on my keychain. Now I have a orange FRN Spyderco Dragonfly 2 on it. 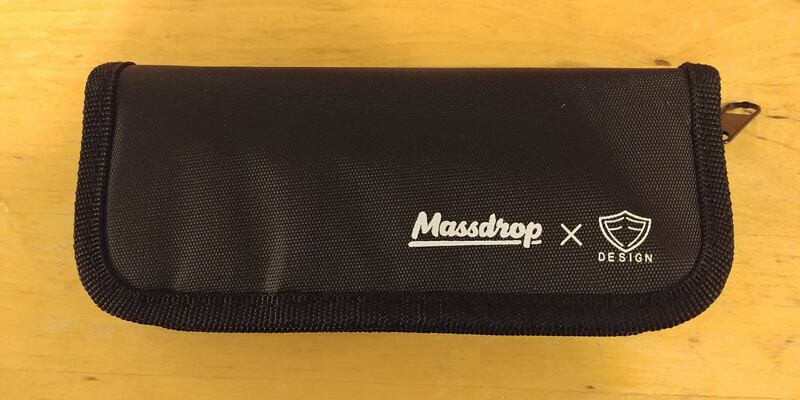 I removed the clip. I have a black FRN Spyderco Native 5 that I will carry from time to time when I think I might need a knife. I had one years ago, but it's not feasible with all the security everywhere nowadays. 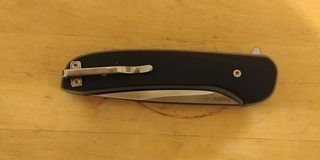 I prefer a Swiss type with a few tools but still a decent blade. I haven't witnessed security everywhere trying to take away my legal pocket knife. :erm: But you haven't been everywhere yet have you? They can hold it at the guard station after xrays. Another option is to leave it in the vehicle (Chevy). Why are you getting xrays? Checking for broken bones? I assume he means at airports and similar? But he's checking himself as luggage? They don't x-ray people. Facility? 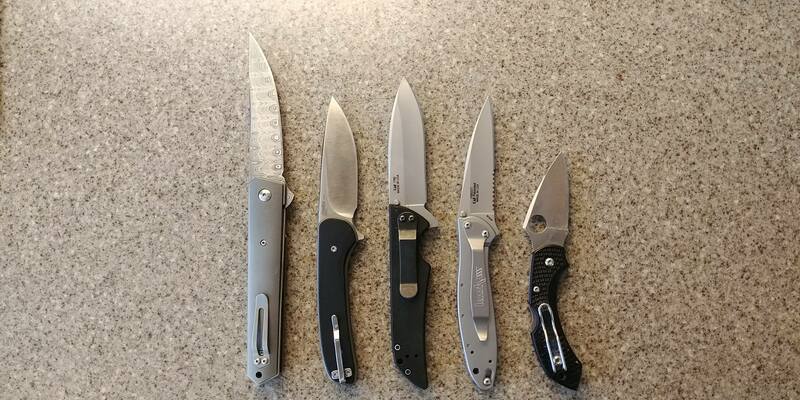 You're talking about guards and x-rays... Why can't you have a knife.? 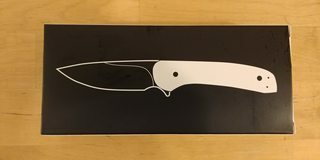 I have a Kershaw knife that looks extremely similar to your's. It's pretty nice. 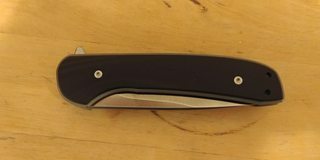 I have had a Gerber Paraframe I for a while. Not edc but only while backpacking. 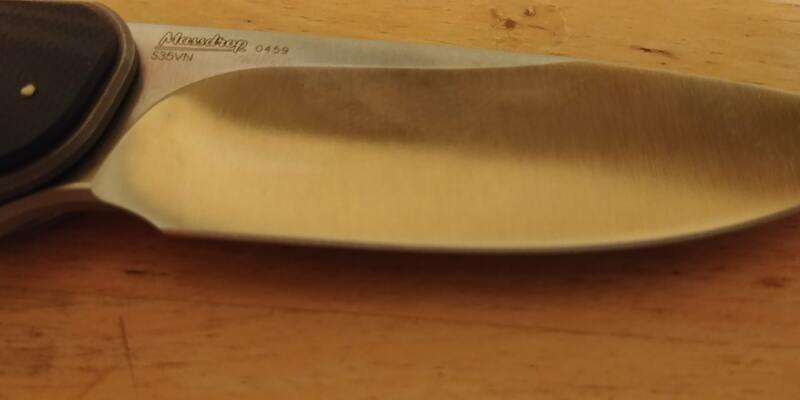 I have no need for an edc knife, I leave a paring knife in my desk drawer. My brevity is not intended to poop on anyone's hobby. 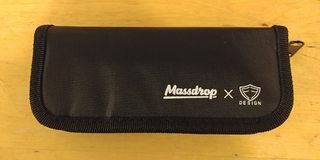 Is the watch thread next? I don't have any watches...you'll have to start that one. Security guards are normal at most facilities. I assume they want to reduce stabbings. :lol: No lethal weapons are allowed. I use a phone for the time. 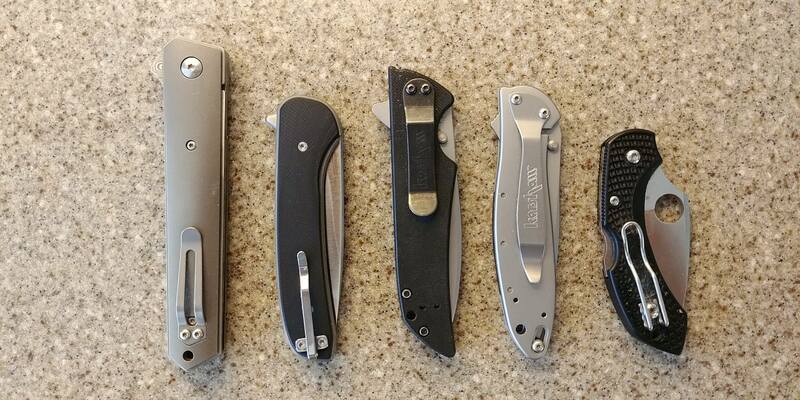 I don't carry a pocket knife for protection, it's for utility. A pocket knife is a lethal weapon? What about knitting needles? Pencils? A letter opener? And what do you mean by facility? I only have a Casio watch or two. One of which needs a new band. I'm not a watch guy. I wear one to tell the time, so I won't be starting that thread either. 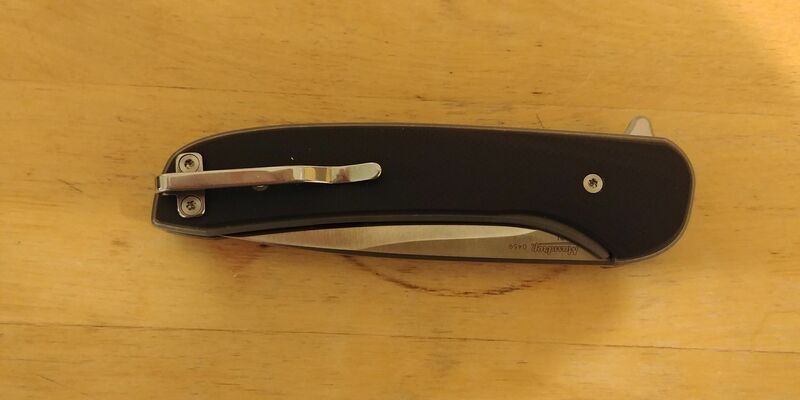 I use a Kershaw OD-1 1775. Not the easiest thing in the world to sharpen but it gets the job done and has a nice, beefy clip for hanging in my pocket. The opening lever is nice for when I'm trying to open boxes one-handed. It's not in the best aesthetic shape but it's functionally and structurally sound. Knives are illegal to carry here if they use gravity or a spring to facilitate one-handed opening. They are also illegal if there is intent to use them as a weapon, eg carrying a kitchen knife in public without good reason is likely to get you arrested. 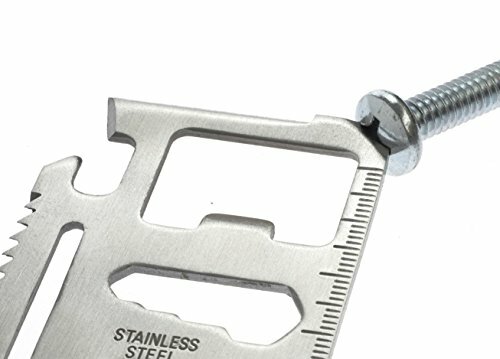 I recently got stopped at airport security because they x-rayed my wallet and found a 'credit card' multi-tool. It had been there for years and I had forgotten all about it. Ridiculous, but I let them take it so I could make the flight. There are workplaces and sites where there is xray examination of your bags and metal detector pass thru for the body. At which point they'll take your knife away. Well, yeah... My point was that his choice of wording is rather strange. I don't refer to my workplace or any place I've worked as a "facility". I thought you were involved in Asian electronics manufacturing. What do you call a place with a hundred to a few thousand employees, multiple buildings, and a hundred thousand to a few million square feet of space. If not a facility do you call it a site instead? Well, many places these days are pretty strict on their security measures, especially given that many incidents have happened over the years where fatality has occured and could've been avoided with tighter security.